Google is undoubtedly the best company to provide free softwares and applications for its users. Users loves to download free apps provided by the Google because it is from the giant company and much more reliable to use. Google first release their softwares for PC’s users but now it seems that they are throwing some amazing apps for Mac users too. So, in this article, I am compiling a list of best free Google-related Mac apps and desktop widgets. All these applications are free to download and the best part is you don’t have to open a browser for using some Google services. Alternatively, you can also look our previous article in which we compiled list of best freeware Mac apps which I believe every one need to download if you have a Mac. And if you are a web developer and owning a Mac, check out the best free Mac OS text editors to make things easy for you. And for now, without wasting any time further, have a look on SaveDelete’s compilation of 22 amazing Google related Mac apps for free download. 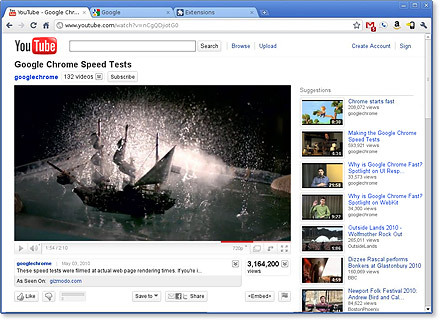 1) Google Chrome : Google Chrome runs web pages and applications with lightning speed.It’s free and installs in seconds. 2) Google quick search box : You know that Quicksilver is not developing any more, Google quick search box is the best alternative and its free too. 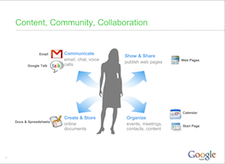 Search for anything from contacts & music to web content. Launch applications whether they’re on your computer or online.Perform actions on your results such as opening a file or sending an email. 3) Picasa : Picasa is free photo editing software from Google that makes your pictures look great. Sharing your best photos with friends and family is as easy as pressing a button. 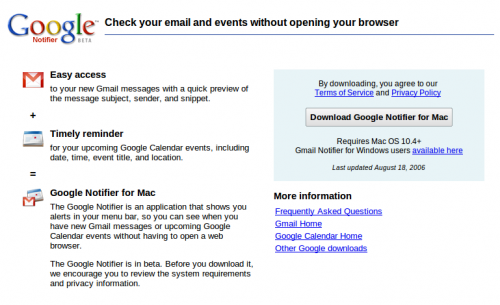 5) Google Notifier : Google notifier is the notifying system for Mac. It allows you to easy access to your new Gmail messages with a quick preview of the message subject, sender, and snippet.Timely reminder for your upcoming Google Calendar events, including date, time, event title, and location. 6) Google Book Downloader : Google Book Downloader is a tool for downloading digital books from books.google.com. Give it the URL or ID of a Google Book and it will create a PDF of that book. Some books can already be downloaded from the web, but many cannot. If you see a book that has a full or limited preview but no download, Google Book Downloader can download that—or at least the parts you can read on the web. 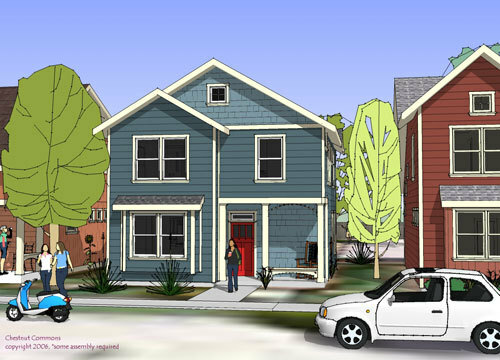 7) Google Sketchup : Google SketchUp is the finest tool that you can use to create 3D models. You can picture anything in 3D and later share with those models with the friends. 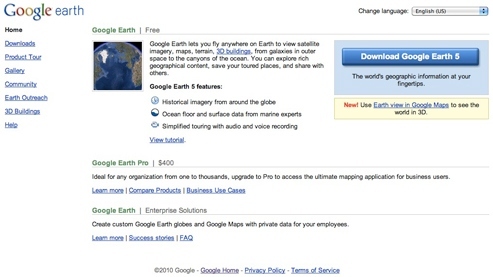 8 ) Google Earth : Google Earth lets you fly anywhere on Earth to view satellite imagery, maps, terrain, 3D buildings, from galaxies in outer space to the canyons of the ocean. You can explore rich geographical content, save your toured places, and share with others. 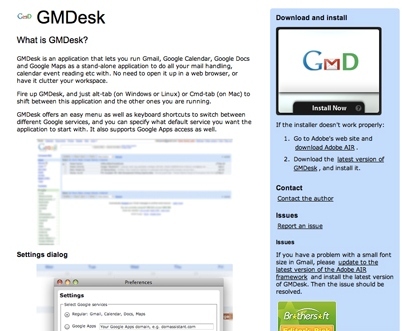 9) GMDesk : GMDesk is an application that lets you run Gmail, Google Calendar, Google Docs and Google Maps as a stand-alone application to do all your mail handling, calendar event reading etc with. No need to open it up in a web browser, or have it clutter your workspace. 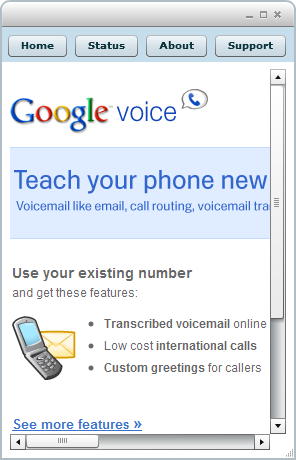 10) Google Voice Utility : Google Voice – Google Voice Utility helps you keep Google Voice open on the desktop and it can work on Windows, Linux & Mac. GVoice is still under development and it may contain bugs. 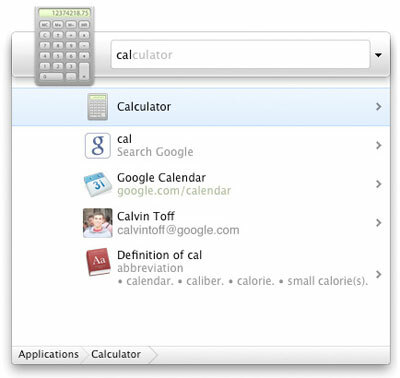 11) TinyCal : TinyCal is a menubar calendar with Google Calendar integration. It can show multiple months, use custom calendars, and show holidays and personal calendars. Use TinyCal to keep track of birthdays or appointments, or as a desktop calendar reference. 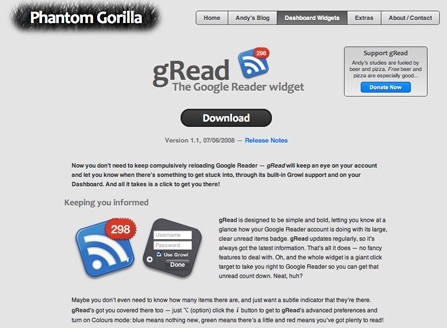 12) gRead : Now you don’t need to keep compulsively reloading Google Reader — gRead will keep an eye on your account and let you know when there’s something to get stuck into, through its built-in Growl support and on your Dashboard. And all it takes is a click to get you there. 13) GDocsUploader : GDocsUploader is a little utility to help you upload documents to Google Docs. 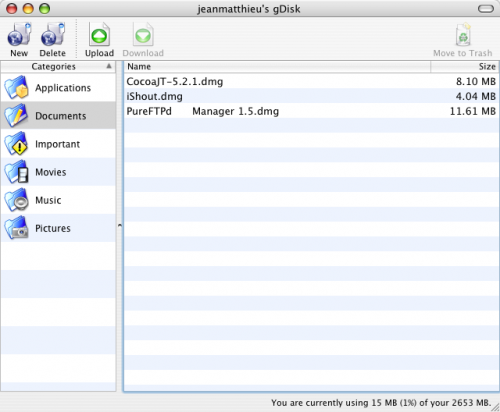 Once you’ve logged in, uploading is as simple as dragging and dropping files onto the GDocsUploader icon. 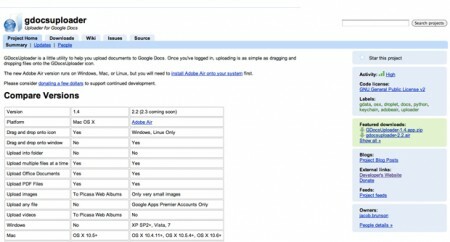 The new Adobe Air version runs on Windows, Mac, or Linux, but you will need to install Adobe Air onto your system first. 14) AdWords Editor : AdWords Editor is a free Google application for managing your ad campaigns. 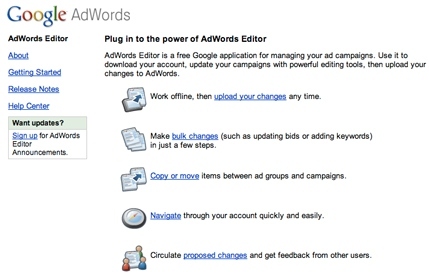 Use it to download your account, update your campaigns with powerful editing tools, then upload your changes to AdWords. 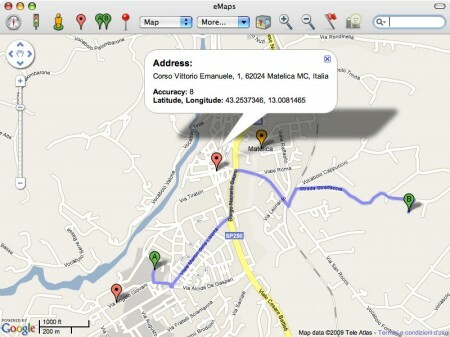 15) eMaps : eMaps is a application for Mac OS X that allows users to interact with Google Maps™ mapping service. eMaps provides street maps, satellite and street view imagery, driving directions, traffic info, local search for many countries around the world. Features include reverse geocoding service, the ability to create and export customized maps and save a default location view. 16) BusyCal : BusyCal is a desktop calendar that provides seamless calendar sharing and enhanced productivity tools for workgroups and individuals. BusyCal combines the calendar sharing and synchronization technology from the award winning BusySync with a beautiful desktop calendar interface that is instantly recognizable to iCal users — all in one easy to use integrated application. 17) Gmote : Gmote turns Android into a remote control for a computer, allowing users to run movies and music at a distance. It supports all of the standard remote control features such as play, pause, rewind, volume controls etc. It also has a built-in file browser that lets you select what to play. 18) gDisk : gDisk is a software that turns your GMail account into a portable hard drive so you can always have your important files accessible accross the Internet. 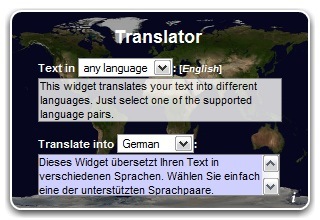 19) Language Translator : Translates any text between different 41 different languages using Googles language translation service. It can even detect the source language. 20) Google Calendar Desktop Widget : Keep an eye on today’s events on your desktop. With this dashboard widget, you don’t need to logon to Google Calendar in a dedicated browser window. Clicking on an event takes you directly to the event in Google Calendar, ready for you to edit. 21) Analytics Widget : AnalyticsWidget is a free dashboard widget for OS X that displays Google Analytics data.There are 3 types of reports : Content Overview, Visitors Overview and Traffic Sources Overview , each of these also has 3 views: a graphical main view, a table of small graphs, and a textual view. 22) Google Apps Dashboard Widget : The Google Apps Dashboard widget allows to to acces various Google Web-based applications right from your Dashboard, by using a Mac OS X Dock-like setting. Included in the widget are: Gmail, Calendar, Docs & Spreadsheets, Notebook, Page Creator, Picassa Web Albums, Blogger & Google Reader.